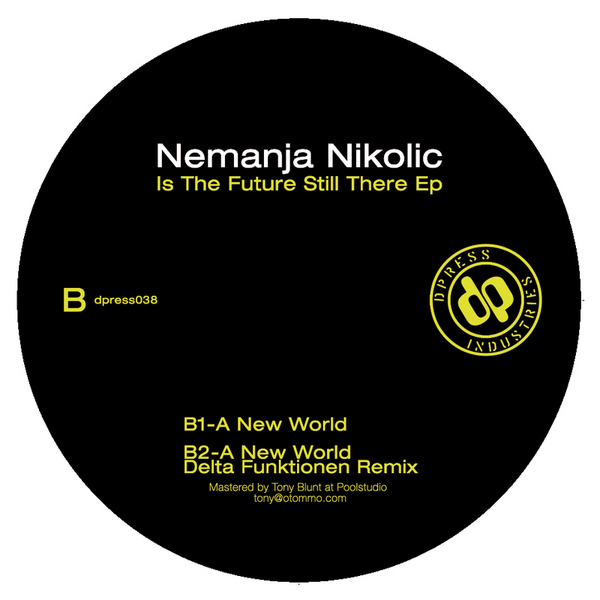 Widely scoped and deeper techno tracks from Nemanja Nikolic, backed with a tough remix from Delta Funktionen. 'Rejection' establishes a none-too-urgent pace with vast synth wipes for star gazing effect, before 'Highway Of Thoughts' adds a sci-fi Detroit flavour and 'A New World' arranges acutely darkside chords over stoic machine rhythms. Delta Funktionen wastes no time on his version, reshaping 'New World' with a direct drive for the DJs and dancers.